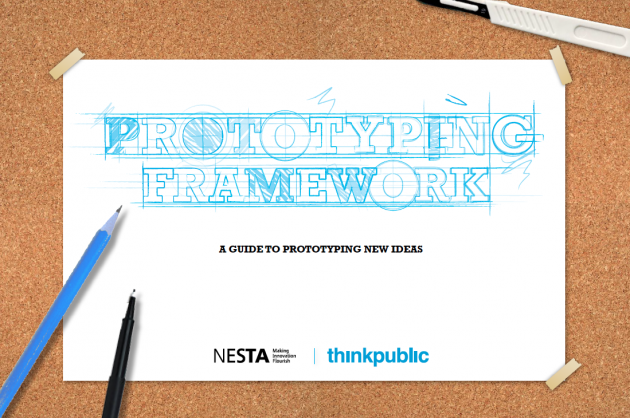 "Prototyping in Public Services describes an approach that can be used to help develop new and innovative services by testing ideas out early in the development cycle. NESTA has produced a guide for policymakers, strategy leads, heads of service, commissioners and anyone else in a public service looking for new methodologies that can help them to better meet the needs of their communities. It sits alongside the Prototyping Framework: A guide to prototyping new ideas which provides examples of activities that can happen at different stages of a prototyping project. The guide and toolkit are early outputs from our prototyping work and are based on work NESTA and its partners have been doing with several local authorities and third sector organisations. We will continue to learn about prototyping as an approach that can be used to develop public services, through our practical programmes."